Frances Adamson has led the Department of Foreign Affairs and Trade as Secretary since 25 August 2016. Prior to her appointment as Secretary, Ms Adamson was International Adviser to the Prime Minister the Hon Malcolm Turnbull MP from November 2015. From 2011 to 2015, Ms Adamson was Ambassador to the People’s Republic of China. She served in the Australian Consulate-General in Hong Kong in the late 1980s during the early years of China’s reform and opening. From 2001 to 2005, she was seconded as Representative to the Australian Commerce and Industry Office in Taipei. Ms Adamson has twice served in the Australian High Commission in London, as Deputy High Commissioner from 2005 to 2008 and as Political Counsellor from 1993 to 1997. She was Chief of Staff to the Minister for Foreign Affairs and then the Minister for Defence from 2009 to 2010. Ms Adamson is President of the Institute of Public Administration Australia ACT Division. She is a member of the Efic Board, the Advisory Board of the Australian National University’s National Security College and the Asia Society Australia Advisory Council. 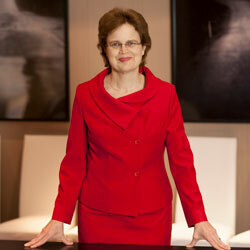 Ms Adamson is a Special Adviser to the Male Champions of Change and a member of Chief Executive Women. She was awarded a Sir James Wolfensohn Public Service Scholarship in 2015. Ms Adamson has a Bachelor of Economics from the University of Adelaide and was a recipient of a 2014 Distinguished Alumni Award. She joined the then Department of Foreign Affairs in 1985.